Lentils are the easiest dry beans to make. They cook fast, are full of nutrients and are inexpensive. 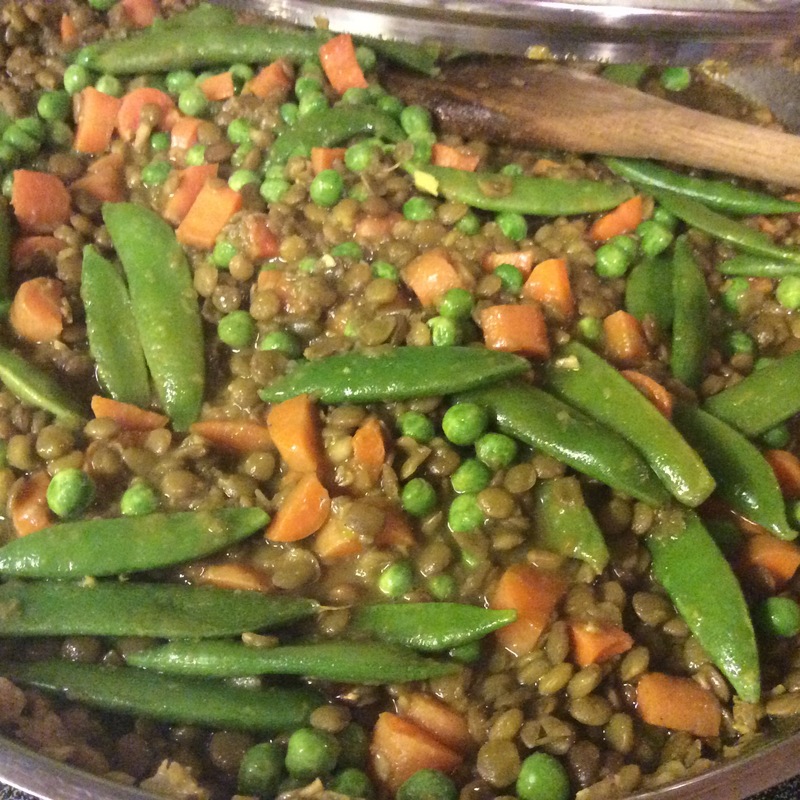 Lentils, like many other beans, have this wonderful ability to absorb the flavors of the spices they are cooked with. One of my other favorite ways to have lentils, is simply to blend over boiled lentils into spaghetti sauce and Voila! an easy way to get extra nutrients into my kids! many other vitamins & minerals! 2. 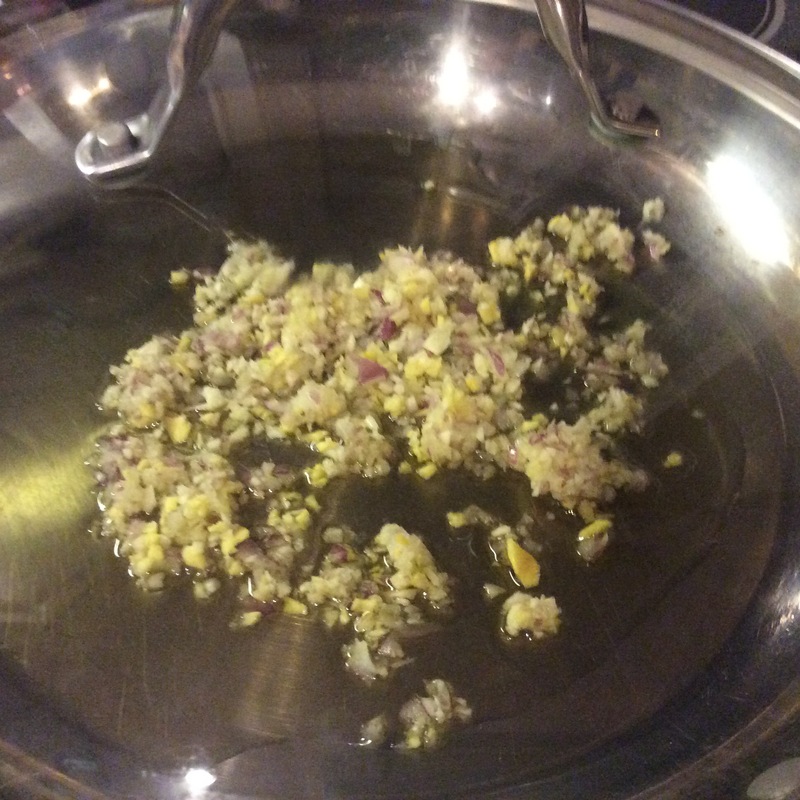 Chop garlic, ginger, and onion finely. 3. Heat olive oil in frying pan, sauté onion, garlic and ginger on low for about 5 minutes. While sautéing rinse lentils. 4. Add spices to sautéed garlic, ginger and onion. 5. Immediately after adding spices, add 3 cups of water. Bring water to a simmer. 6. Add salt and lentils to pan. Cover and cook. 7. 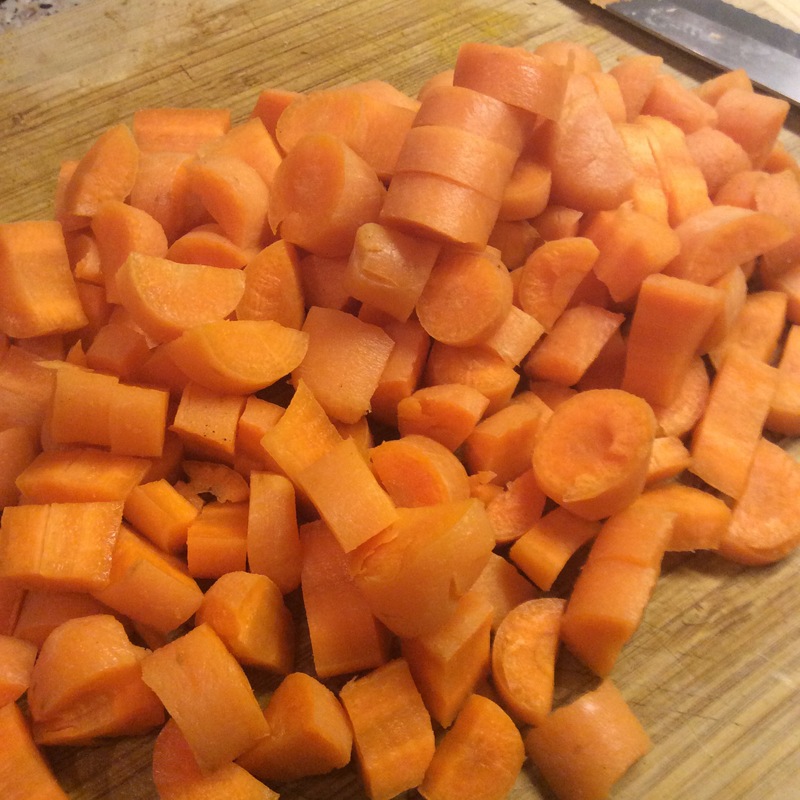 After 10 minutes add carrots, continue cooking for about 20-30 minutes until carrots & lentils are tender. 8. Add peas and/or peppers. Cook until tender about 10 minutes. Add salt and pepper to taste.